Next year's White House Correspondents Dinner will be no laughing matter. The White House Correspondents' Association (WHCA) said Monday it won't be inviting a comedian to perform at its annual press dinner. 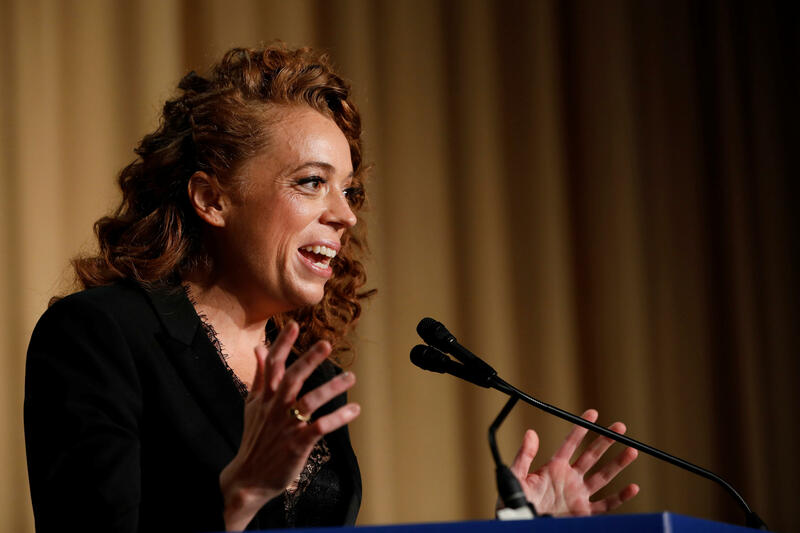 The decision follows the uproar over Michelle Wolf's barbs in April, in which she mocked top White House officials. Instead, the 2019 dinner will feature guest speaker Ron Chernow, the Pulitzer Prize-winning historian best known for biographies of Alexander Hamilton and George Washington. Wolf, a former "Daily Show" correspondent, wasn't impressed. "The @whca are cowards. The media is complicit. And I couldn't be prouder," the comedian tweeted Monday after the announcement. In a statement, Chernow acknowledged that he has "never been mistaken for a stand-up comedian," but said he was asked to defend press freedom and freedom of speech in his remarks. "The White House Correspondents' Association has asked me to make the case for the First Amendment and I am happy to oblige," he said. "Freedom of the press is always a timely subject and this seems like the perfect moment to go back to basics. My major worry these days is that we Americans will forget who we are as a people and historians should serve as our chief custodians in preserving that rich storehouse of memory." The historian, whose Hamilton biography inspired the Broadway phenomenon "Hamilton," added, "I promise my history lesson won't be dry." SiriusXM correspondent Olivier Knox, president of the WHCA, said he looks forward "to hearing Ron place this unusual moment in the context of American history." The Correspondents' Dinner traditionally features a comedian who roasts the president and jokes about current events, and the president himself typically performs his own routine. But President Trump has skipped the first two dinners of his administration, and the custom of comedians came into question after Wolf's appearance in April. Wolf's routine featured fierce jokes about Mr. Trump, his children and top members of his administration, including White House press secretary Sarah Sanders, who sat frowning as Wolf mocked her as a liar. She also called out the White House reporters at the dinner, saying they were "obsessed" with Mr. Trump and benefited from covering him. "You helped create this monster, and now you're profiting off of him," Wolf said. Her jokes mostly drew cheers and applause from the crowd, but the response from the media and politicians was more sharply divided afterward. Mr. Trump called Wolf a "filthy 'comedian'" on Twitter and said the dinner was "DEAD as we know it." In an August press briefing, Sanders cited Wolf's routine as one of the reasons she wouldn't disavow Mr. Trump calling the media "the enemy of the people." Wolf said in an interview with NPR's "Fresh Air" in May that she "wouldn't change a word" of her performance. "I'm very happy with what I said, and I'm glad I stuck to my guns," she said.